Neil Patel, a marketing expert and co-founder of KISSmetrics, is homeless by choice. Instead of paying a mortgage, he lives out of 4- and 5-star hotels while traveling the world. For Patel, 5-star hotels deliver a level of service and convenience he can’t find anywhere else. The hotel supplies everything for him, from food to laundry to networking opportunities. Patel “hires” hotels to deliver Living as a Service, so he can focus on the things he cares about most. Should apartment communities do the same for their residents? Studies show that consumers are willing to pay more for convenience and personal touch. 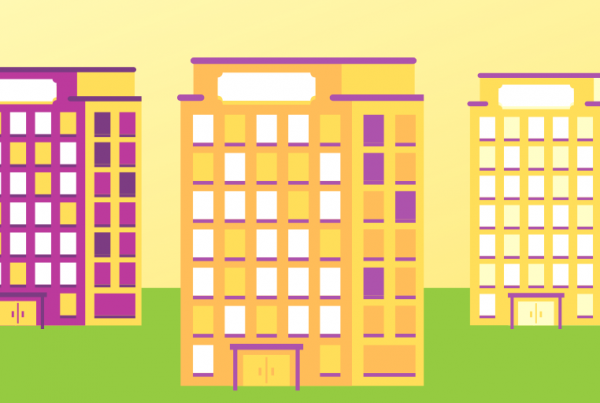 Apartment communities that go above-and-beyond for their residents can gain a massive competitive advantage in an increasingly crowded real estate market. 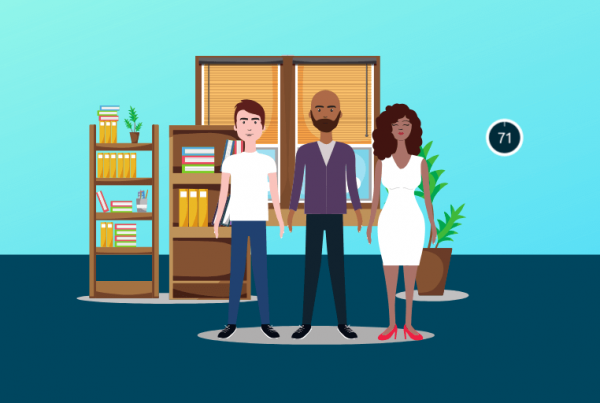 Developing a hospitality mindset does not mean apartment communities need a 24/7 concierge desk, or that rent needs to be prohibitively expensive. Smart apartment technology is making it easier and more affordable to deliver an excellent living experience for residents. 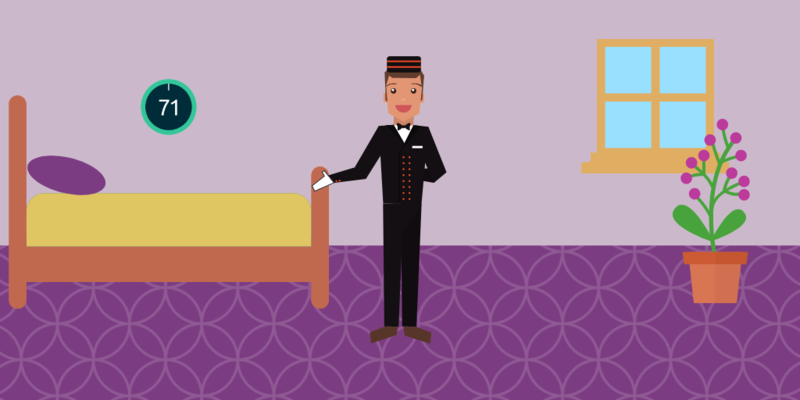 What is the Hospitality Mindset? Neil Patel’s story about living in 5-star hotels reveals a lot about what apartment residents are looking for today. The rise of the sharing and “as-a-service” economy shows us that consumers value convenience and experiences over traditional virtues like ownership and wealth. Residents want to live in a community that provides flexibility and services that make their lives easier. The hospitality mindset means providing Living as a Service. But is better service worth the cost? Let’s look at the numbers. Upgrading your facilities and amenities is obviously not free. 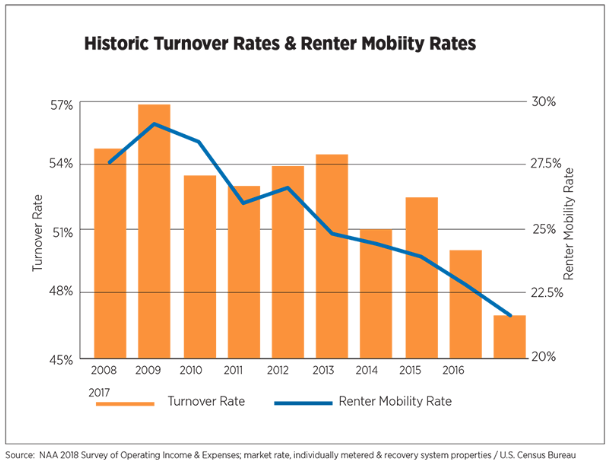 According to the National Apartment Association (NAA), spending on capital expenditures – i.e., money spent on building improvements and providing amenities – reached 11.1% of Gross Potential Rent (GPR) in 2017, the highest since 2005. However, property developers are recouping their investment in more ways than one. According to the same study by the NAA, turnover rates are down to 46.8% – a 10-year low – thanks to a larger focus on the resident experience. Since turnover is one of the costliest expenses for a property, this improvement is significant. Despite the increasing capital expenditures, Net Operating Income (NOI) has continued to increase steadily since 2010 and now sits at 62% of total revenue. Properties are also seeing an increase in revenue from other sources besides rent, like amenities and storage solutions. As icing on the cake, operating expenses have stayed low despite the increase in services. Year-over-year operating expenses only increased by 2.1% in 2017, which falls well below the 15-year average increase of 3.4%. With smart building systems and automation, operating expenses could fall even further. These numbers are impressive, but they only account for traditional apartment communities. With the rise of smart apartments, property owners are going to see even greater opportunities to improve hospitality and profits. Smart apartment technology turns apartment buildings into platforms, where services and amenities can be added and removed at will. There’s no telling what products and use cases will come of this revolution, just like no one could have predicted Instagram and Uber when smartphones first developed. However, there are numerous services that properties can provide today that improve the resident experience. Here are a few examples of how smart apartment communities are already putting the hospitality mindset into action. Dealing with internet service providers (ISPs) is one of life’s great frustrations, right up there with spam phone calls and waiting in line at the DMV. What if you could make your residents’ lives easier by taking care of internet for them? With Wifi-as-a-Service, residents purchase internet directly through your smart apartment platform. Residents can turn on their wifi or increase their bandwidth on demand with just a click of a button. Some properties even offer wifi as a complimentary amenity, with higher bandwidth options available for a monthly subscription. These subscription packages provide a source of incremental revenue for properties, along with convenience for residents. Housecleaning. Groceries. Dog walking. Laundry. Busy residents are constantly looking for ways to save time, which is why we’ve seen a rise in services like Instacart (on-demand groceries) and Rover (on-demand dog walking). Smart apartments platforms can partner with 3rd party vendors to make their services a seamless part of the living experience. The main barrier to on-demand services is access and security. How does your dog-walker get into your apartment, and how do you ensure they lock up when they leave? These barriers do not exist in smart apartments. Residents can give service providers temporary access to their unit and track when they come and go. Smart apartments present a brand new opportunity for property owners: an on-demand services marketplace. Not only is this incredibly convenient for residents, but it also provides incremental revenue for the building. For example, a property can charge a percentage of each transaction as a finders fee for the on-demand service provider. No other companies have embodied the sharing economy like Uber and Lyft. Smart apartments can take on-demand transportation to the next level by making it even more convenient for residents. One simple solution is to provide designated pick-up/drop-off spots for ride-sharing services. Apartment complexes by Greystar Properties in Houston started doing this in 2017. But can smart apartments go even further? What if, for instance, apartment communities provided their own set of vehicles to rent? Residents could take the vehicles to work, on day trips, or even earn extra cash by being an Uber driver. It would also be a massive new source of income for properties, and it could all possible with a smart apartment platform. The mark of an excellent hotel is their ability to meet the ever-changing needs of their guests. Property owners and managers benefit from this practice by evolving their services over time. As a platform, smart apartments make it easy to plug in new amenities and services when they become popular. Apartment communities can surprise and delight their residents with new amenities every few months – even more frequently if they chose to – as opposed to every few years. For instance, a smart apartment could offer Amazon’s in-home package delivery as soon as it becomes available in their area. There’s no need for a hardware upgrade; adding the service is as simple as downloading an iPhone app. In the long-run, a property’s greatest strength is the ability to adapt. Future-proofing your smart apartment investment starts with building the infrastructure (i.e., the platform) to make change easy over time. As apartment renters search for their next home, they are going to choose communities that deliver Living as a Service. Smart apartments enable property developers to deliver a 5-star living experience without the high costs of running a luxury hotel. Renter preferences change constantly, which is why developers should focus on building a future-proof smart community. 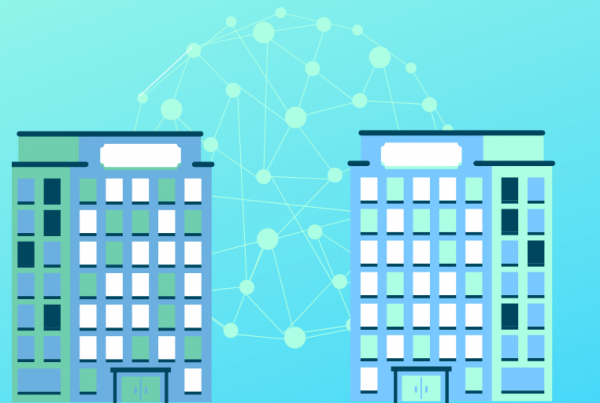 By investing in a smart apartment platform, buildings and services can adapt over time, keeping communities up-to-date and attractive to residents for years to come.